Uncle Bill's Pet Centers. 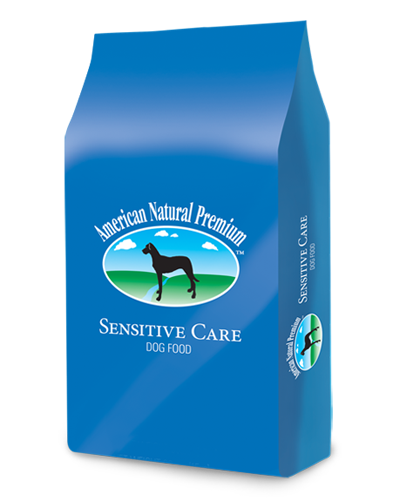 American Natural Premium Sensitive Care - 33 lbs. At Uncle Bill’s Pet Center, we not only offer American Natural Premium dog food for sale, we also employ a highly trained staff that can assist you in finding an appropriate formula. Contains select highly-digestible ingredients including chicken meal, oatmeal, oat flour, potato, brown rice, whole egg and flaxseed. Quality fiber sources including tomato pomace aid in digestion and produce a more consistent stool. Slow-release carbohydrates (oatmeal and oat flour) help slow down the digestion process making it easy on the tummy. We will be glad to work with you to ensure that you feed your dog quality food for optimal health and happiness by providing the best selection and value on premium dog food for sale in Indiana. 4.00 lbs. 12.00 lbs. 33.00 lbs.